Ah, growing older and living with our mistakes. They say life is full of second chances, but sometimes you only get one shot. One shot with poor timing -- you know, those cards. So we lie to get the girl to call us. We lie to know her name. 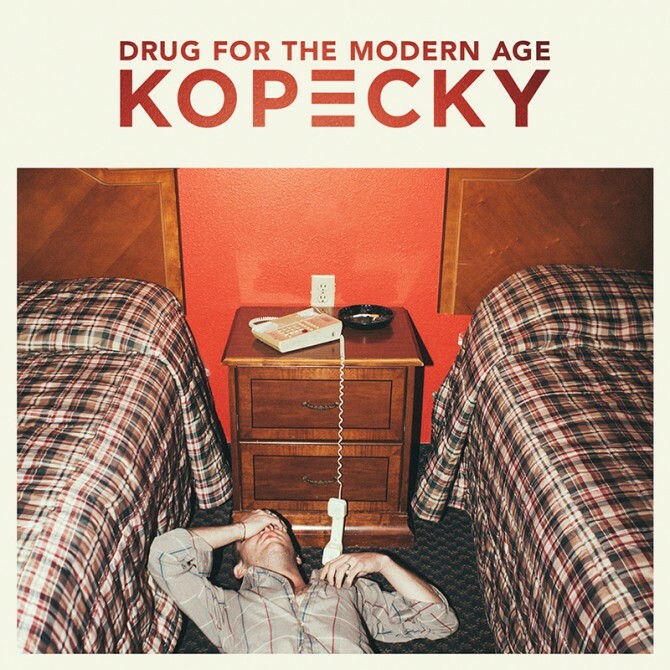 These are the trials repeated back to us in "Quarterback," the first single from Kopecky's splendid sophomore album Drug For the Modern Age. "I can't wait here forever," Kelsey Kopecky sings on "Better Luck Next Time." Guitars scream and more mantras repeated: "I'll have better luck next time." Next time, next time, next time. Or, really, what this album is about: time, time, time. Kopecky has crafted an album's worth of songs about the cruel reality of time. The finite amount of breathing life to achieve what moves you, or, you know, that one word people chase: dreams. We don't have forever. And maybe that's why one of this album's best songs is called "Real Life." Gabe Simon and Kelsey Kopecky trade vocals on the chorus, with Simon cracking in occasionally, "you need to get over it!" The best song might be "My Love," a pop hit in a world without marketing schemes and streaming audio counts. Or maybe it could still be. Maybe.